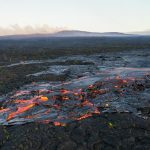 le chaudron de vulcain – June 13 , 2016. 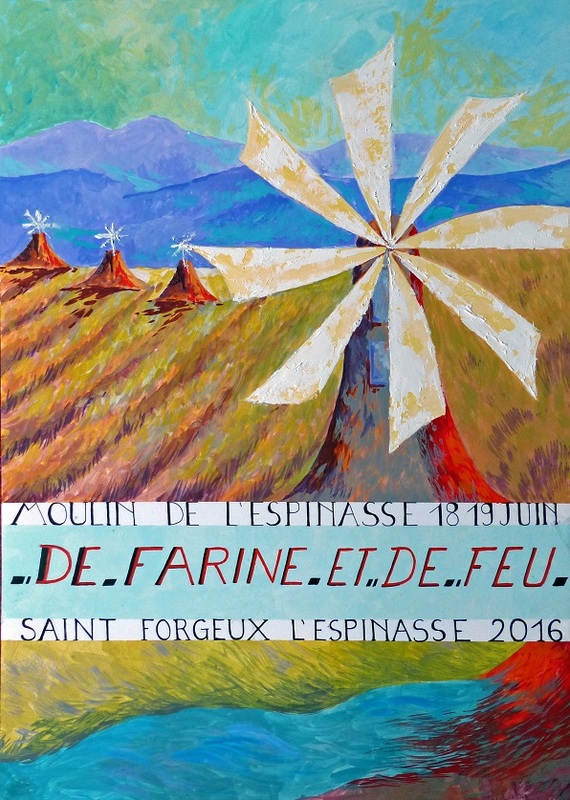 EN . 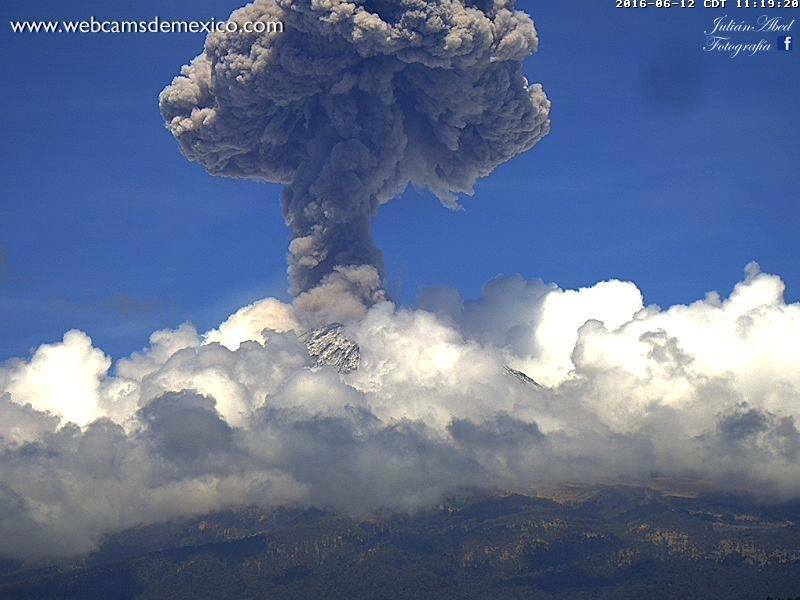 Fuego , Popocatepetl , Reventador . Home / blog georges Vitton / June 13 , 2016. EN . 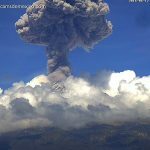 Fuego , Popocatepetl , Reventador . Just five days before the expo. 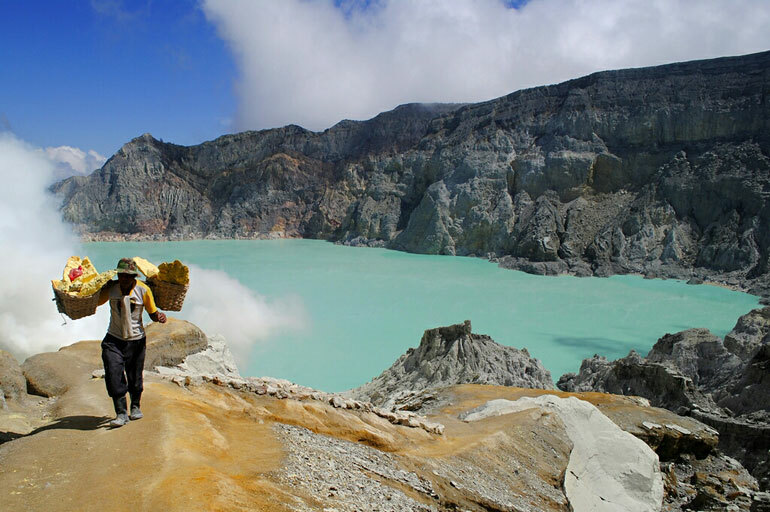 It has a white fumaroles activity of degassing, dispersion at low altitude towards the north and northwest. 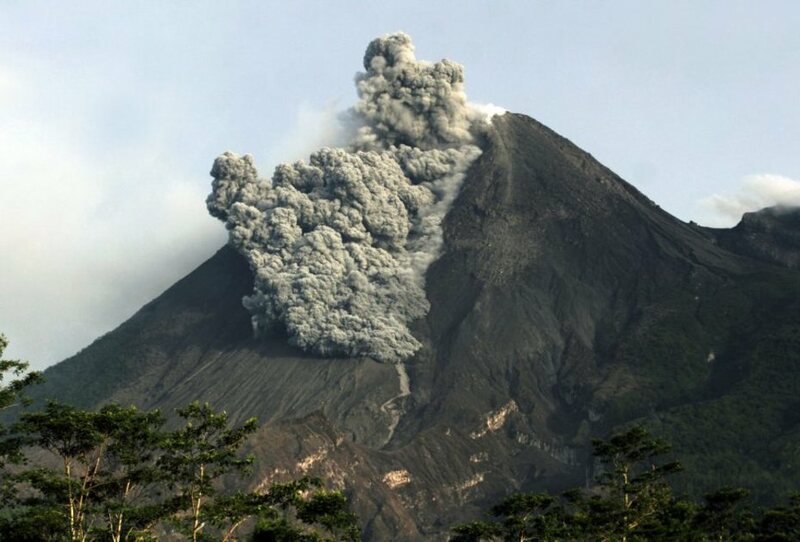 It was recorded 19 explosions, of which 11 are moderate and 8 low, with a gray column with an approximate altitude of between 4.500 to 4.900 meters (14.764 -15,420pies) in spread to the West and North West of the complex volcanic, at a distance of approximately 12 kilometers. Some of the explosions were accompanied by rumbling moderate with similar sounds to aircraft noise every 4 to 6 minutes. Glowing pulses were seen overnight with an approximate altitude of 100 to 175 meters above the crater, causing light to moderate avalanches around the edge of the crater. In the last 24 hours the seismic records of the surveillance system at Popocatépetl volcano record 71 low-intensity exhalations with steam and gas emissions. Aditionally, were registered 6 explosions, yesterday at 11h18 and 21h06, today at 5h16, 8h08, 9h15, and 9h48 . Also, 83 minutes of low-aplitud harmonic tremor were registered. Along the night was observed incandescence, with a continually emission of steam and gas . The cloudy conditions not allow observing the volcano continuously, but we observed a continuous emission of steam and gas that winds carried to the nor-west . CENAPRED emphasizes that people SHOULD NOT go near the volcano, especially near the crater, due to the hazard caused by ballistic fragments. This type of activity is included within the scenarios Volcanic Traffic Light Yellow Phase 2. 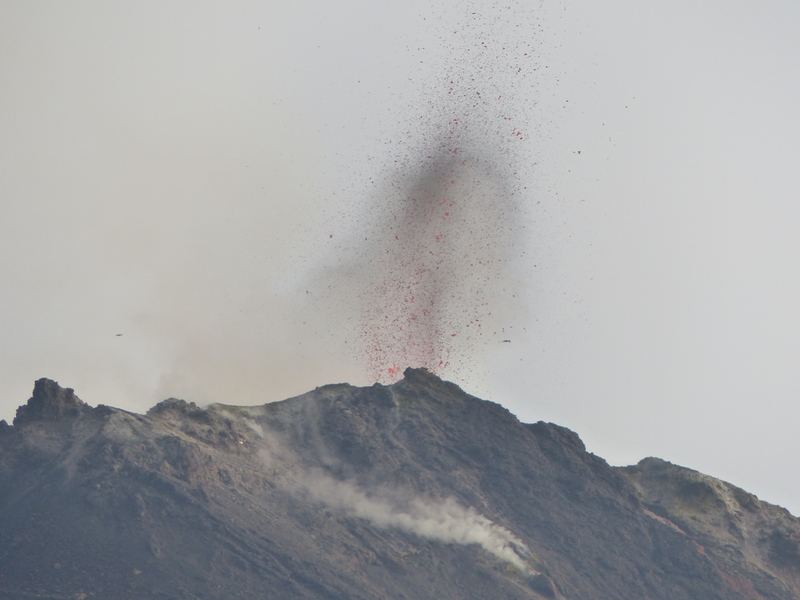 The volcano is maintained with high activity. 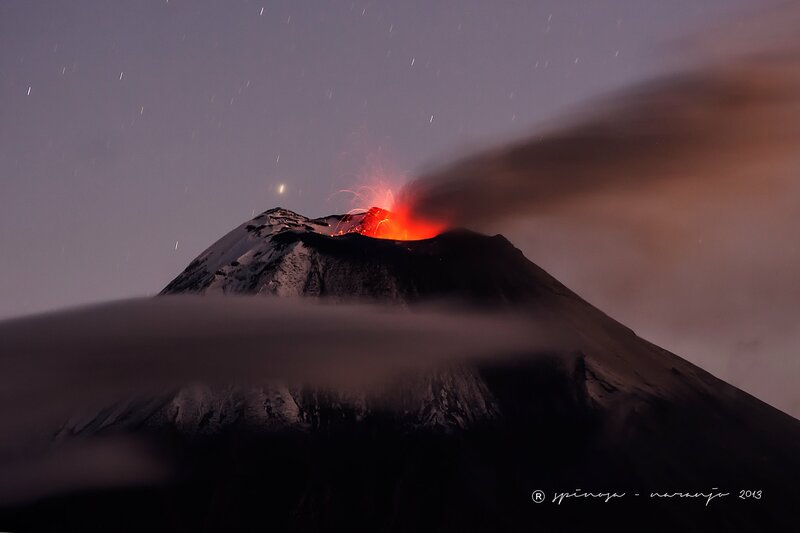 In the afternoon yesterday, there was an emission of gases and ash to the northwest, in addition incandescent rocks that roll on all sides of the volcano. From 11:00 (TL) yesterday until 11:00 (TL) today, were recorded 49 explosions (EXP), 35 events long period (LP), 4 episodes of tremor emission (TRE), and 6 episodes of harmonic tremor (TRA). In the afternoon of yesterday, we observed emission of gas and ash to the northwest, with more glowing rocks rolled down from all sides of the volcano up to about 1000 meters below the crater. At the moment, the volcano area is cloudy. 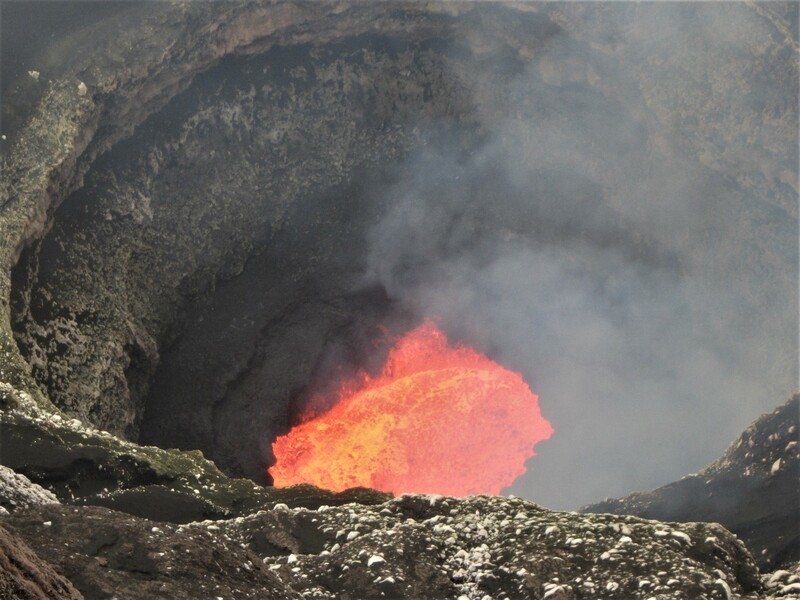 No rains were recorded in the volcano area. This report on a daily basis will be published at 12:00 (TL). 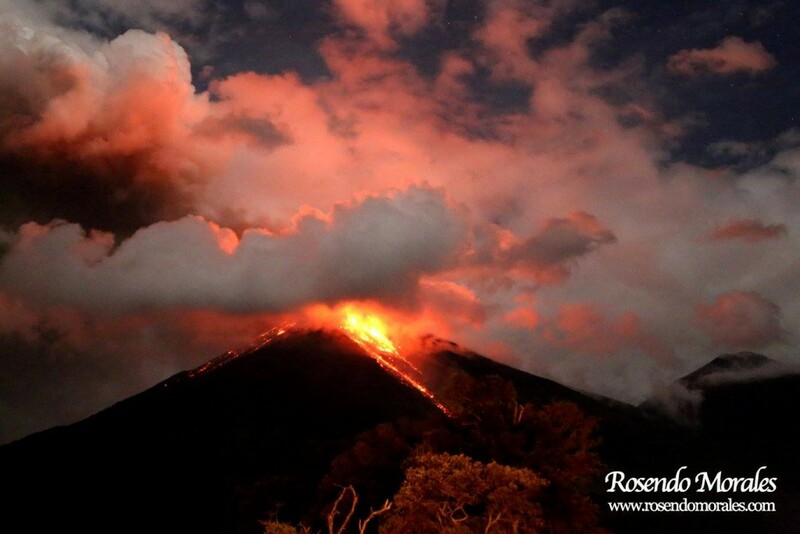 In the case of an increase or a change in the behavior of the volcano, it will immediately issued a special report.